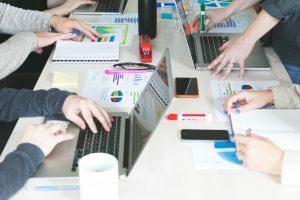 The rules of business continue to be redefined by highly disruptive technologies on a global scale that are altering business models, value propositions, customer demands, interaction models, the economic logic for transacting, profits measurement and the evolution of new interconnected ecosystems. 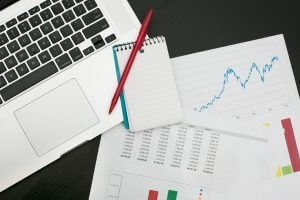 All of this is changing the thinking behind how M&A strategy is conceptualized and executed. 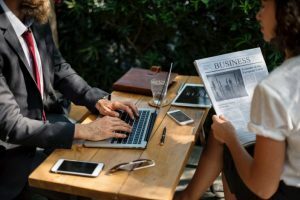 The very questions around the definition of value and how to maximize it are undergoing transformation as well (e.g., areas to focus on during due diligence, synergies to exploit and value creation itself). 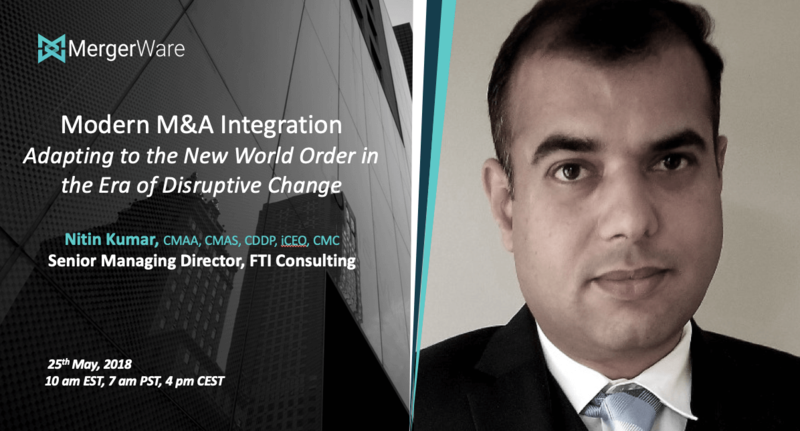 But M&A integration often has not kept pace with these changes and must rapidly adapt as well, In the upcoming webinar, Nitin Kumar, Senior MD at FTI Consulting will explore how to stay abreast in an environment of constant change by adapting fast to technological changes through M&A. 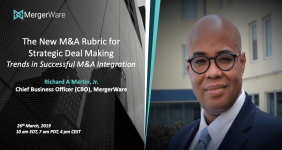 -Leading practice and insights for M&A integration in 2018 and beyond.